The M/V Kaye E. Barker was built by American Ship Building Company at Toledo, Ohio, as Edward B. Greene, flagship of the Cleveland-Cliffs Steamship Company fleet. 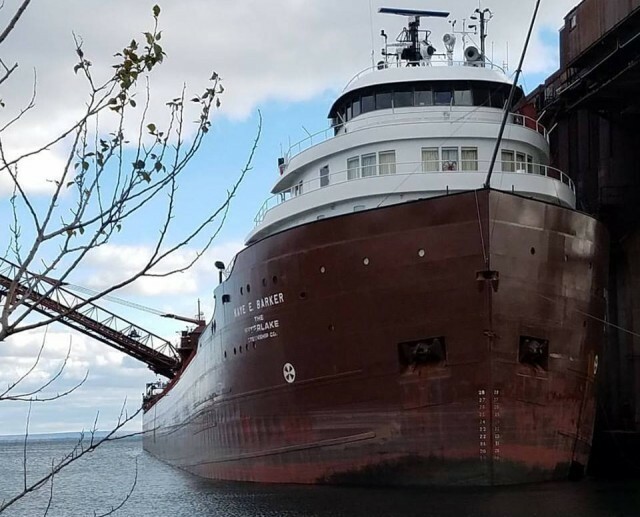 She was lengthened with the addition of a 120-foot midbody section at Fraser Shipyards, Inc., Superior, Wisconsin, in 1976. In 1981, American Ship Building Company, Toledo, converted her to a self-unloader. In 1985, she joined the Rouge Steel Company fleet and was renamed Benson Ford. Upon joining the Interlake family in 1989, she became Kaye E. Barker, honoring the wife of Interlake’s Chairman of the Board and President. 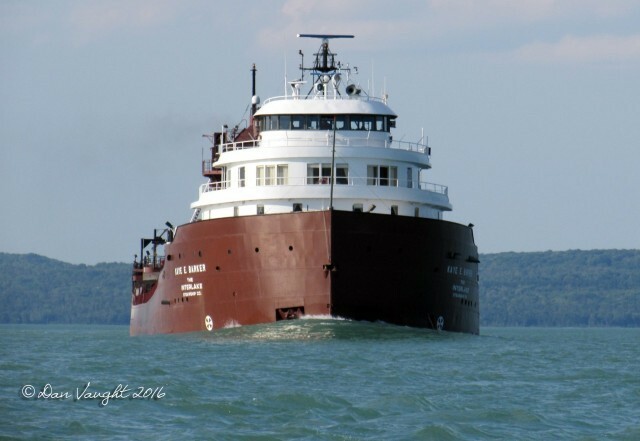 In 2012, the Kaye E Barker was repowered at Bay Shipbuilding in Sturgeon Bay, WI. 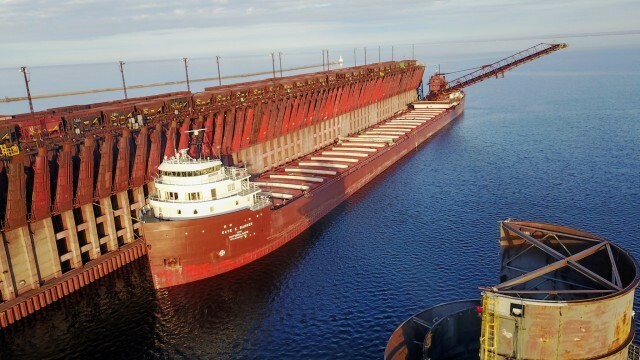 In 1994, she became the largest vessel to load stone at Marblehead, Ohio. 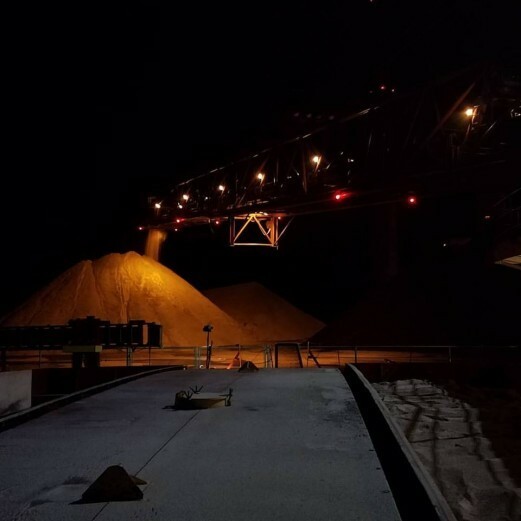 In 1997, she ended the season with an Interlake first -- a load of gypsum U.S. Gypsum's dock in Alabaster, Michigan, delivered to the company's facility on the Rouge River. 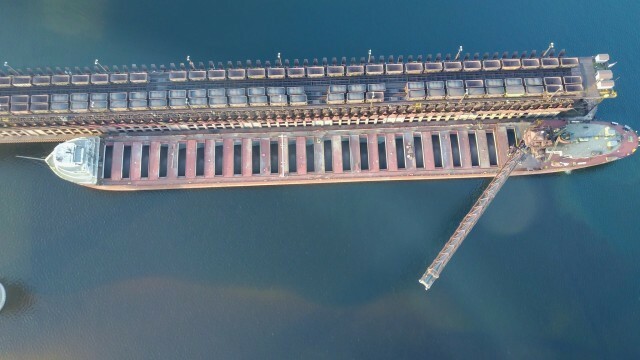 Also in 1997, she was the first Interlake self-unloader to handle a grain cargo, loading at Milwaukee and discharging into a new hopper installed on the side of a silo at Continental Grain's elevator on the Calumet River in South Chicago.